We are a small, family run electrical business serving Swansea and its surrounding areas. We cover all aspects of domestic and commercial electrical work, both indoors and out – so whether you need an electrician to install a new light, undertake a complete rewire, or solve an electrical problem, we can help. As the saying goes; "No job is too big or too small." Customer satisfaction is important to us. 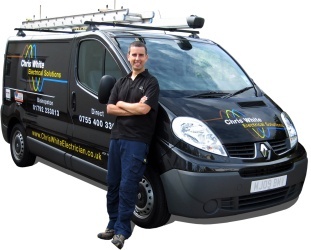 No one enjoys having tradespersons in their home or workplace, but as one of our customers sums it up, we endeavour to make your experience with Chris White Electrical Solutions a positive one.